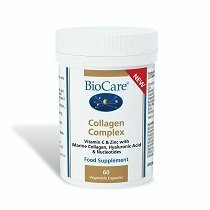 At BioCare, we want every individual to be able to take supplements effectively. Some people struggle to swallow tablets or capsules, while others absorb nutrients less efficiently, or have sensitive digestive systems. Liquid vitamins and minerals are easy to take, offer higher absorption rates and are kinder on your stomach. Our Nutrisorb® range provides high potency while our Vitasorb® range offers all the benefits of liquid supplements plus the flexibility of low dose options. Browse our full range, or find out more about liquid vitamins and minerals. Liquid vitamins and minerals provide a great alternative for people who want to take a supplement, but don’t like swallowing tablets or capsules. They can be taken under the tongue or diluted with water or juice, so are much easier to take on a regular basis. Also, vitamins and minerals in liquid form have higher absorption rates. As they bypass the normal digestive process, and enter the blood stream directly, the nutrients are absorbed more quickly and efficiently. This is also a benefit if you suffer gastrointestinal sensitivity, as your body doesn’t have to cope with any additional digestion. 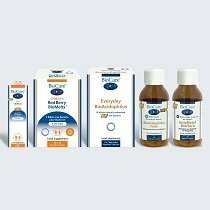 At BioCare, we produce two different ranges of liquid vitamins and minerals, plus additional products for children. The Nutrisorb® range is perfect for people who want to take a higher potency liquid supplement, and offers both vitamins and minerals in liquid form. Popular Nutrisorb® mineral products include Iron, Zinc (with Vitamin C), Selenium and Chromium, plus the Nutrisorb® Liquid Trace Minerals that provides a mineral complex. Nutrisorb® vitamin products include Vitamin A, D and E, as well as Methylfolate for optimum folate absorption. Our Vitasorb® range includes the full spectrum of specific vitamins in liquid form, including popular products like Folic Acid, Vitamin B12 and Vitamin D, plus a liquid multivitamin and CoQ10 with vitamin E. As well as the general benefits of taking supplements in liquid form, our Vitasorb® range offers significant flexibility in dosage, with its drop format allowing you to take as little as 1mg. The ease of taking vitamins and minerals in liquid form makes them a good choice for babies and children. 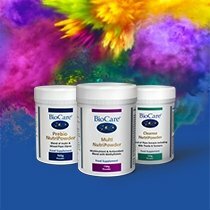 At BioCare, we offer products for both age groups – Baby A, C, D Plus and Children’s BioMulsion® D.